Affinity’s NMLS Approved is a five-day online course that requires 4-5 hours per day to complete. The course is offered every Monday–Friday. New material is released to the student each day at 6:00am Pacific Standard Time. If the course cannot be completed within the timeframe, the NMLS requires retaking the 20-hour course completely. We allow one free reschedule if a person is unable to take the class as it was initially scheduled. The online instructor-led format allows flexibility for the student to complete the daily coursework any time of the day. This course must be taken from a desktop or laptop computer. The use of mobile devices, such as cell phones or tablets, is prohibited by the NMLS. Once enrolled – student will receive an online login and password. 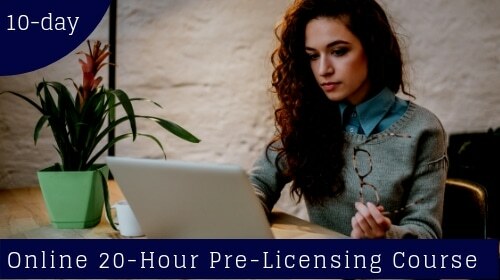 The ONLY Online NMLS 20-Hour Pre-Licensing Course that gives you Cutting-Edge Coaching AND Community – so you can Master BOTH Mindset AND Must-Know MLO Concepts to Ace Your NMLS SAFE Exam – Even if You Have No Real Estate or Prior Mortgage Experience.